We’ve been using Derdack SIGNL4 for a few months now, and it is making a real difference in our response times. We have it tied to our help desk ivr for after-hours support and have experienced the results we had hoped for. Highly recommended! Even small and medium sized business are required to provide services at their customer’s fingertips. 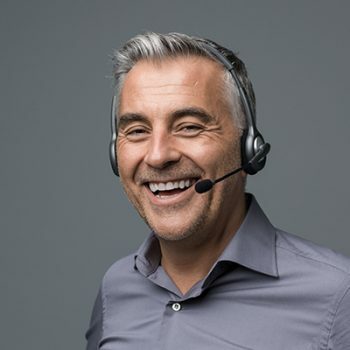 Offering a service or help desk with a 24/7 operated voice line is common. It is however a challenge to staff those services during after-hours. Even for larger enterprises with low call volume it doesn’t make sense to staff such hotline around the clock. So, on-call or standby seems like a solution. It is however hard to pick up the phone in the middle of the night and to be fresh and bright in an instant when an upset customer calls. While a voice mailbox sounds good it leaves you with the challenge of getting a reliable notification out when a customer left a voicemail. Such important call notification should never go unnoticed. 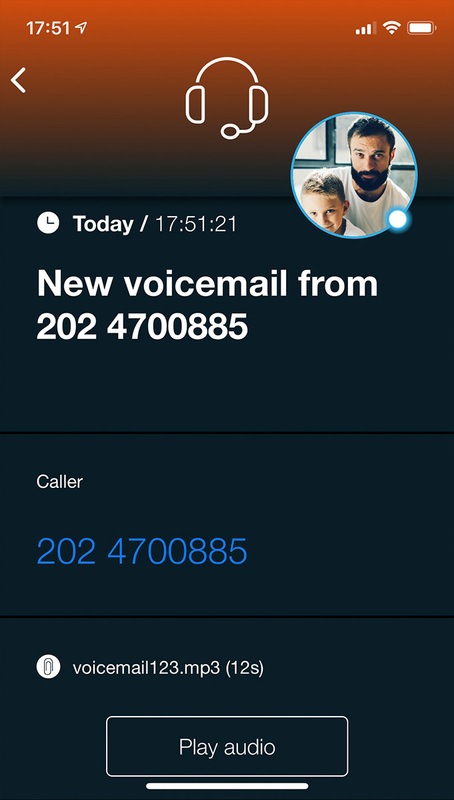 SIGNL4 is your solution and supports any voicemail service which can send you an email with the voicemail attached in WAV or MP3 format. Simply route such voicemail via email to your SIGNL4 team and SIGNL4 reliably notifies people on duty during after-hours. 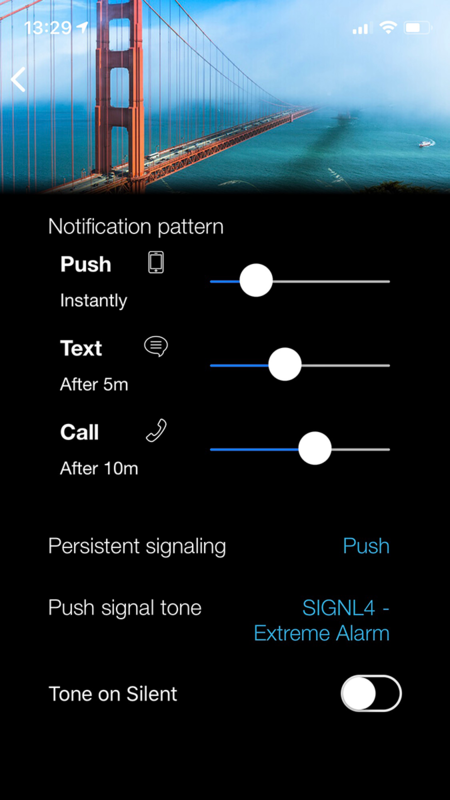 Open the SIGNL4 alert in the mobile app and press the ‘Play’ button to listen to your customer’s recording. Call him back instantly with a single touch. SIGNL4 is great and powerful extension to any 24/7 service desk hotline that is operated with an on-call or stand-by team. It eases the pain for operations staff as it avoids direct calls. At the same time it makes no voicemail goes unnoticed. Your customer service and responsiveness greatly improves while your staff enjoys a much better sleep and after-hours work experience. 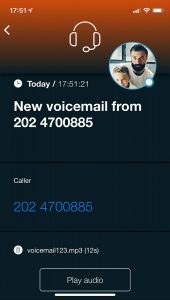 This scenario works with any VoIP/IVR/Mailbox system that can forward voicemail messages via email with recording attached as wav or mp3. Your voicemail systems sends an email to SIGNL4 with recording attached (wav or mp3 format). Please, check if your provider does support this, most do (example here). If required in case of no response/no alert acknowledgement, SIGNL4 can escalate to a manager after a configurable time.